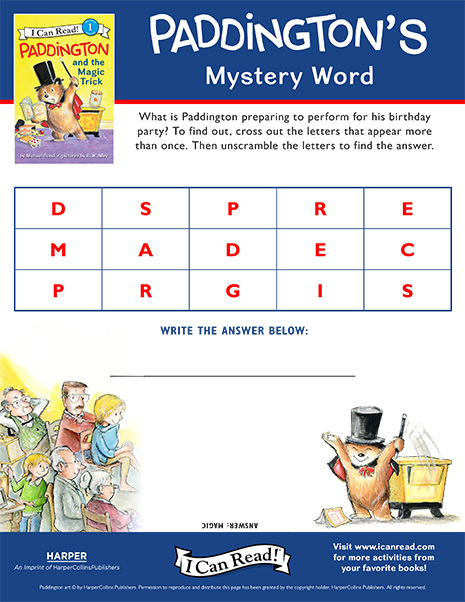 Paddington is preparing to perform magic tricks at his birthday party, but his supplies are all mixed up! 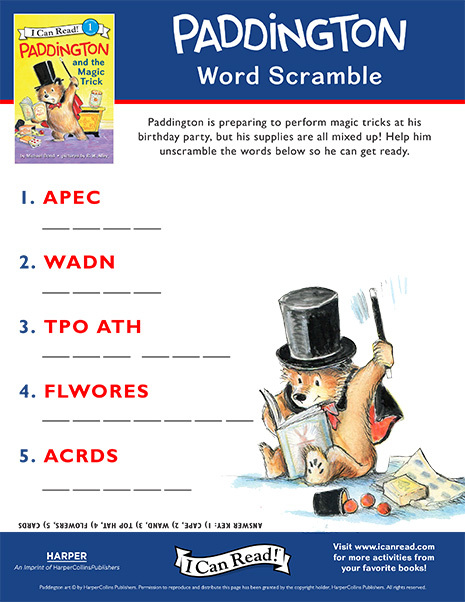 Help him unscramble the words below so he can get ready. 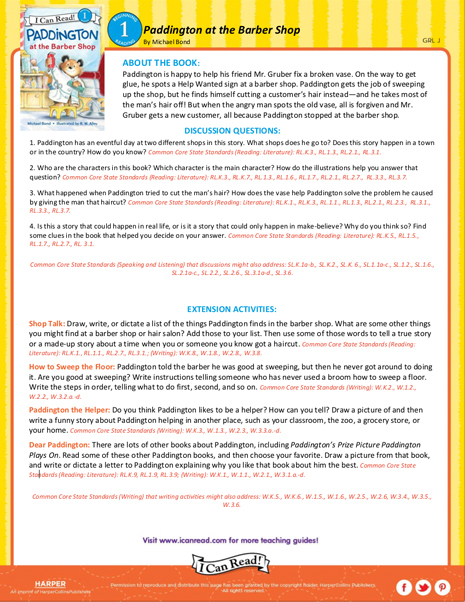 What is Paddington preparing to perform for his birthday party? 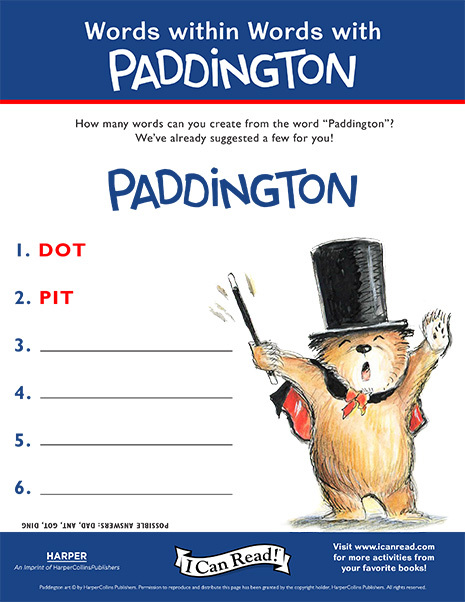 To find out, cross out the letters that appear more than once. Then unscramble the letters to find the answer. 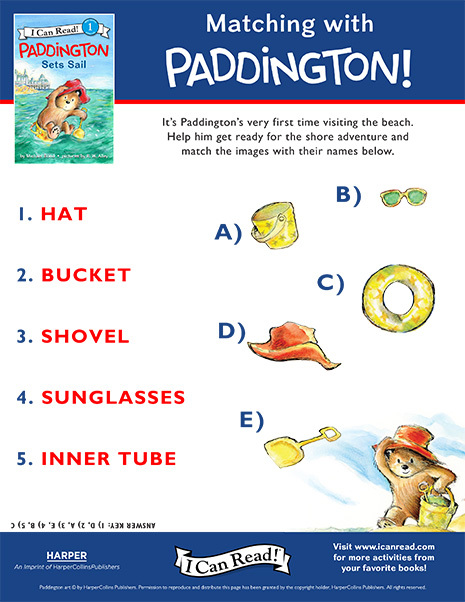 Help Paddington think of some rhymes for these beach words. 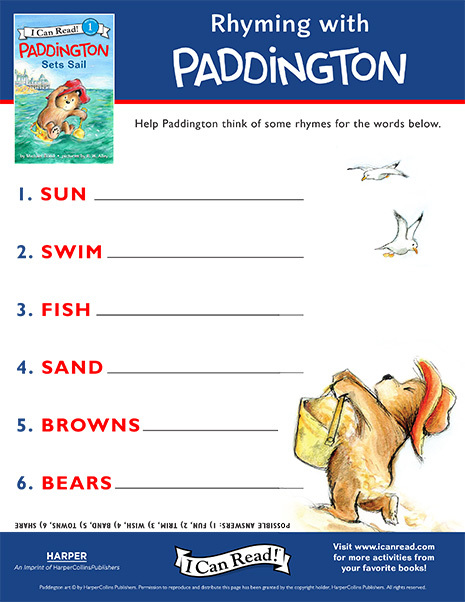 How many words can you create from the word “Paddington”? We’ve already suggested a few for you!